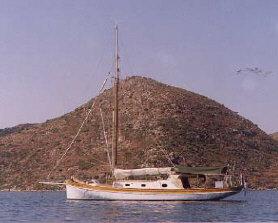 Built in the style of a Brixham Trawler, (but with finer lines) in Alexandria in 1950. 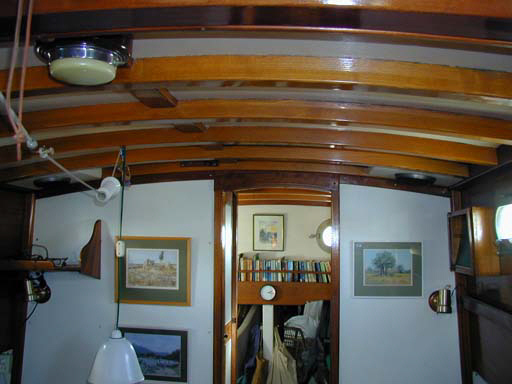 Long straight 1.5 tons cast iron ballast keel, Pitch pine on acacia hull and teak on marine ply decks. 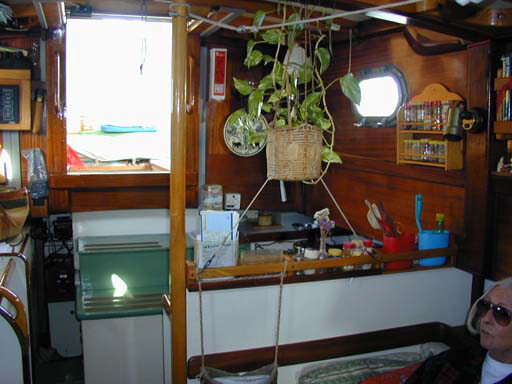 Anchoring: S & L electric windlass, 45lb CQR with 96m cal 3/8 chain, Danforth 15kg, small fisherman with chain and warp. 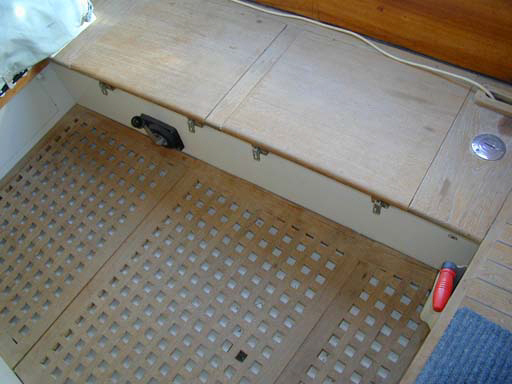 Forepeak: Chain and anchor locker plus sail bin, stowage and hanging space. 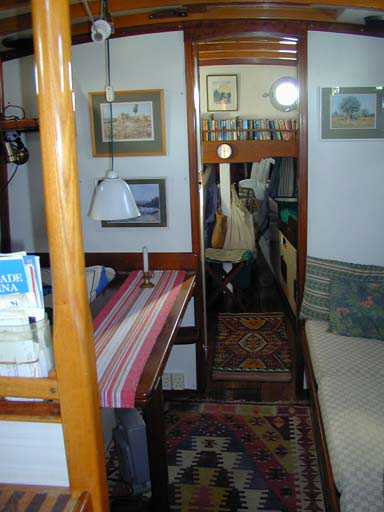 Forecabin: 2 berths. 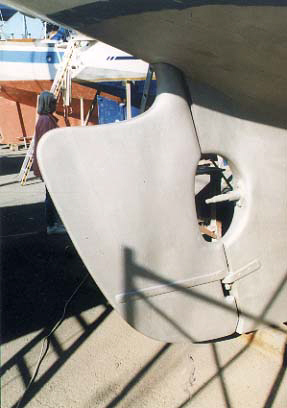 Single head with Lavac, port and hanging locker starboard. 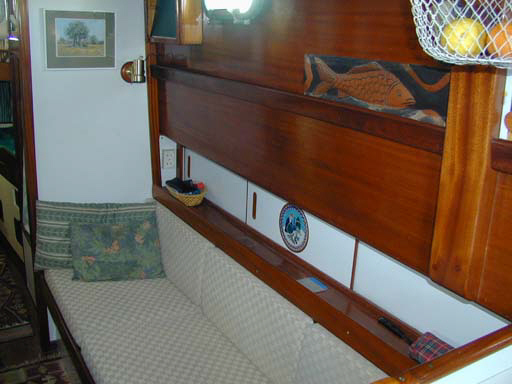 Main Saloon: 1 double and 1 single berth. 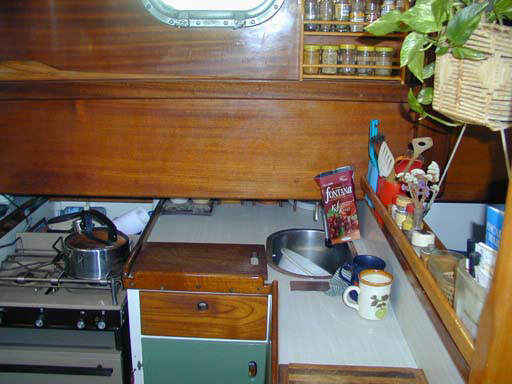 Galley: Flavel gas cooker, port and chart table plus fridge starboard. 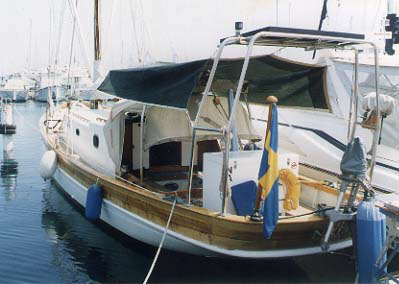 Compasses, Walker log, Depth sounder, VHF, Drake ham radio, Phillips world receiver, Autohelm self steering, Aries wind vane and Garmin GPS 65. Main, topsail, staysail, No1 jib, No 2 jib, storm jib, storm trisail, genoa staysails in Dracon by Cheong Lee and drifter in nylon. 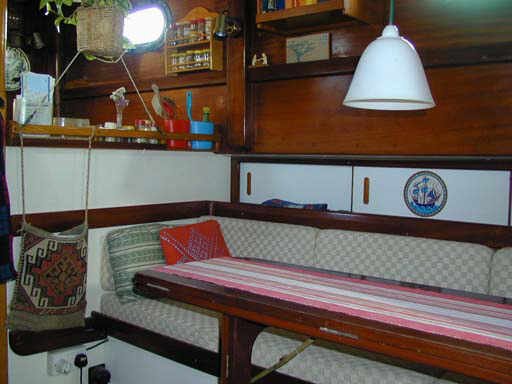 Built by Mohammed Hamada in Alexandria in 1950 the current owners have had her since 1965.In that time they have cruised the Eastern Med extensively as well as a voyage to the Caribbean and another to Brazil. 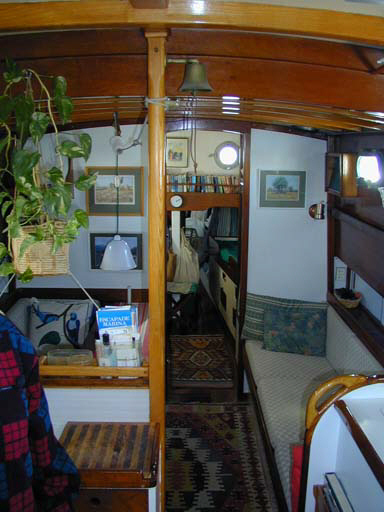 In 1974 Mohammed's younger brother, Moustafa, rebuilt the decks, bulwark and interior. 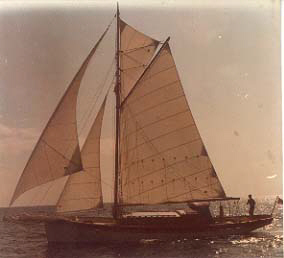 In 1989 the mast and spars were overhauled and all the rigging was renewed.